So far, the year 2018 hasn’t been great for Bitcoin. After reaching a high of almost $20,000 last December and setting off a wave of enthusiasm for cryptocurrency investing, Bitcoin plummeted in value during the first two months of 2018 and continued to suffer a loss after loss throughout the year, at one point selling for only $5,900. At the moment, Bitcoin has stabilized at around $6,500, and its future remains as uncertain as ever. In this article, we attempt to predict the future price of Bitcoin and draw three possible scenarios for the end of 2018 and the beginning of 2019. If we have learned anything at all from Bitcoin’s history, it is that the factors that influence its price can be somewhat unpredictable and even unexpected. Let’s take a look at some of the main factors that have had, and will continue to have, impact on the price of Bitcoin. Hype: It’s no coincidence that the price of Bitcoin was the highest when the search interest in the cryptocurrency was skyrocketing. Just like every promising new technology, Bitcoin is not immune to hype. If we overlaid the price history of Bitcoin over a graph representing Gartner’s Hype Cycle, we would notice that Bitcoin passed the Peak of Inflated Expectations at the end of 2017, right around the time when a single Bitcoin sold for around $20,000. Right now, we seem to be in the Trough of Disillusionment, which is characterized by waning interest in the technology as experiments and implementations fail to deliver. Supply and demand: The price of Bitcoin rise when the demand is too high to be met by the supply. In the case of Bitcoin, the supply is very controlled and limited to 21 million bitcoins. As a result, Bitcoin should keep increasing in value over time even if the demand for it remained stagnant. Regulations: Bitcoin responds heavily to regulations enforced by governments. When Japan’s Financial Services Agency officially recognized 11 companies as registered cryptocurrency exchange operators in a bold move that showed support for the digital currency, the price of Bitcoin instantly increased. 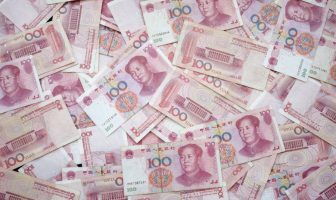 On the other hand, the Bitcoin market had the opposite reaction after Chinese regulators ramped up efforts to crack down on cryptocurrency trading and initial coin offerings (ICOs). Technical developments: Bitcoin’s blockchain isn’t perfect, and efforts to improve it have divided the community on several occasions and even resulted in hard forks. Bitcoin’s early adopters know that a lot of work still needs to be done before Bitcoin has the same transaction capacity as Visa and Mastercard and can fulfill Satoshi’s original vision of a payment system that is faster, cheaper, and more convenient than centralized financial services. Market manipulation: In June of this year, we learned that the 2017 rise in Bitcoin prices was largely caused by market manipulation. In a 66-page paper, University of Texas finance professor John Griffin and graduate student Amin Shams examined millions of transactions on cryptocurrency exchange Bitfinex and discovered strong evidence of coordinated price manipulation using another cryptocurrency called tether. It’s possible that manipulation has played a role on more than occasions than this one, and it might play a role even in the future. Because it’s impossible to arrive at a single Bitcoin price prediction 2018, we’ve decided to describe three paths Bitcoin’s price may follow in the future. When asked, “How much will 1 Bitcoin be worth in the future?” both John McAfee, the founder of the popular McAfee software, and Bobby Lee, CEO of China’s first exchange, gave the same answer: over $1 million. While McAfee is very optimistic and believes that Bitcoin will hit $1 million by 2020, Lee expects Bitcoin to surpass $1 million in about 20 years. Eric Ervin, CEO of Blockforce Capital, thinks that both predictions are completely within the realm of possibility. “A $100,000 per coin valuation for Bitcoin is entirely possible,” he said. “Bitcoin’s current 112-billion-dollar market cap represents just 0.1% of the entire global money supply which is currently valued at approximately 90.4 trillion dollars,” he added. 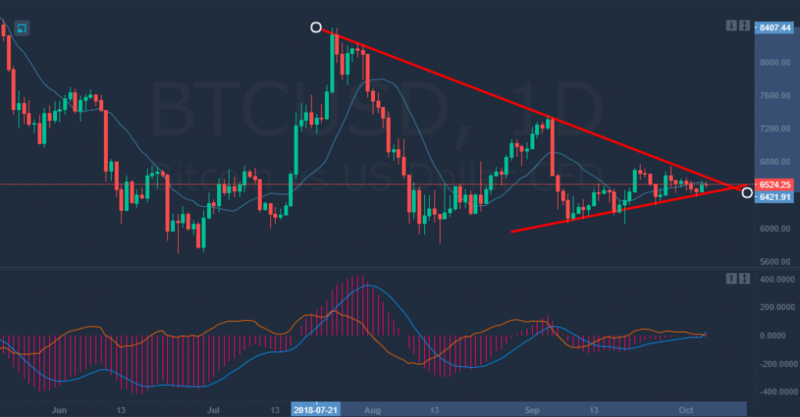 The contracting triangle created by the two converging trend lines in the graph above, indeed, suggests that we are preparing for a reversal, which could be the start of a long bullish rally. 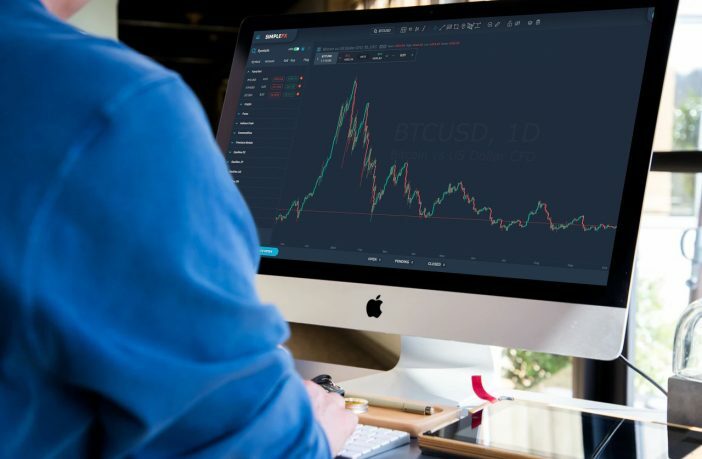 An optimistic Bitcoin price prediction 2019 would be somewhere around $10,000, and only MacAffe with Lee dare to provide a Bitcoin price prediction 2025. Not everyone believes that Bitcoin will be worth several times its value just a few years down the road, and the graph above makes it obvious why. Kenneth Rogoff, Professor of Economics and Public Policy at Harvard University and recipient of the 2011 Deutsche Bank Prize in Financial Economics, doesn’t see the future of Bitcoin to be bright at all. Rogoff sees the lack of actual uses and government regulation as two important roadblocks to Bitcoin’s wider adoption. Kevin Murcko, CEO of crypto exchange CoinMetro, is less pessimistic as he doesn’t expect the price of Bitcoin to ever drop below $3,000. In his view, large-scale miners won’t agree to sell below $3,000 because Bitcoin mining isn’t currently profitable below that price. Probably the most realistic prediction is that the current stagnation will continue even as we move into 2019. We have seen strong support around $5,800, and every time the price of Bitcoin dipped below $6,000, it bounced right back up. At the same time, it’s not likely that Bitcoin will break $9,000 by the end of this year. “I don’t think it breaks $9,000 this year,” said Former Fortress hedge-fund manager Michael Novogratz on stage at the Economist Finance Disrupted event in Manhattan. The hype around Bitcoin and blockchain, in general, is over, and now it’s time for developers that actually work on useful products to gradually fine-tune their solutions and show the whole world that Bitcoin is a valuable asset with an enormous potential for growth. 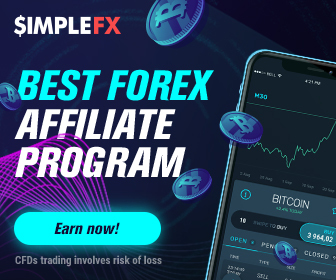 While the future of Bitcoin is anything but certain, you can benefit from Bitcoin price predictions by taking advantage of the daily fluctuations in Bitcoin’s price with SimpleFX, a fast, reliable trading tool with no minimum deposit accounts and a mobile-friendly user interface. Deposit funds to your trading account so you can take advantage of every good opportunity. Create Google Alerts for crypto-related news. Set up price alerts in SimpleFX WebTrader with API manager. Open your first order when you spot an opportunity to make a profit. Give our SimpleFX WebTrader a try today, and get ready for the Bitcoin news related price changes that will inevitably come in 2018 and 2019. Remember you can get familiar with the app using a fully functional demo account or a live account with no minimum deposits. Pay-in any amount and spread your wings as a Bitcoin day trader. Previous ArticleHow To Choose A Cryptocurrency For Day Trading?